Delayed first payment offer not valid in PA or ME. 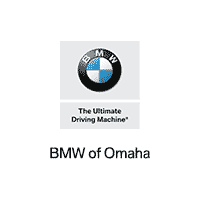 This offer is available on most new BMW retail contracts up to 72 months financed through BMW Financial Services NA, LLC, excluding Select, OwnersChoice, lease and PrePay contracts. To be eligible, qualified customers must have excellent credit history and meet BMW Financial Services’ credit requirements. Not all customers will qualify. Other rates and terms are available. Interest will accrue during 90-day period to first payment for customers who do not qualify for 0% APR financing. All offers subject to vehicle availability. Offer not available for: J-USAA, G-Executive Allowance, H-Corporate Fleet, A-Center Employee, D-DRIVE, I-Daily Rental and L-Limo and Hotel Shuttle.